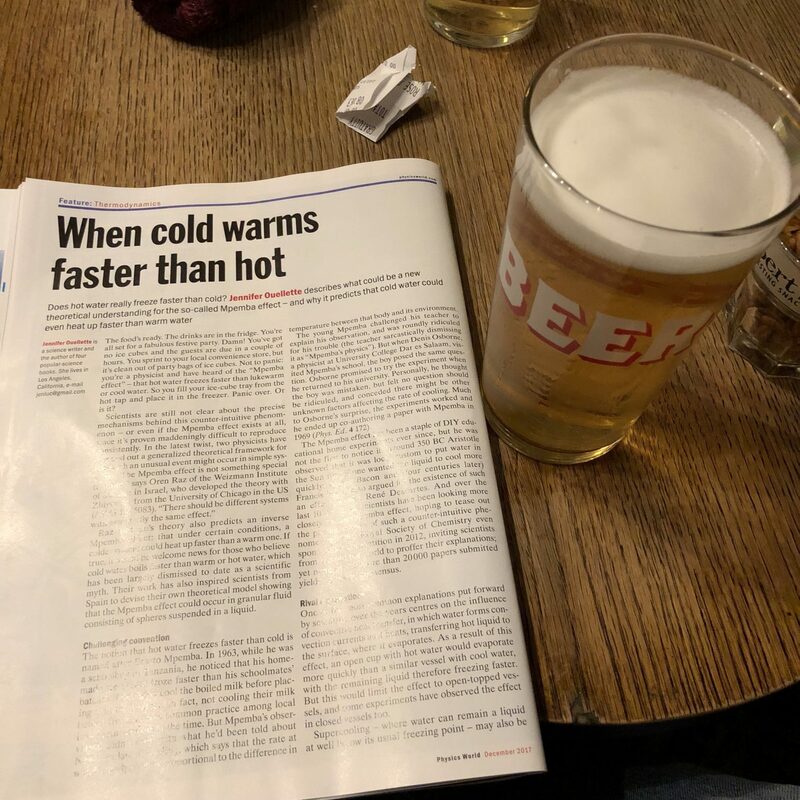 No, sadly this is not a post about observing the Mpemba effect on beer. Instead is about me reading about new studies about the Mpemba effect – i.e. the effect that hot water freezes faster than lukewarm or cool water – while enjoying a cold beer.